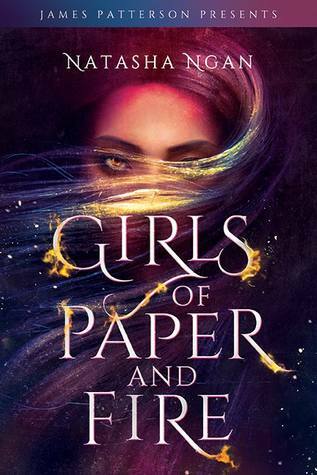 Each year, eight beautiful girls are chosen as Paper Girls to serve the king. It's the highest honor they could hope for...and the most cruel. But this year, there's a ninth girl. And instead of paper, she's made of fire. In this lush fantasy, Lei is a member of the Paper caste, the lowest and most oppressed class in Ikhara. She lives in a remote village with her father, where the decade-old trauma of watching her mother snatched by royal guards still haunts her. Now, the guards are back, and this time it's Lei they're after--the girl whose golden eyes have piqued the king's interest. Over weeks of training in the opulent but stifling palace, Lei and eight other girls learn the skills and charm that befit being a king's consort. But Lei isn't content to watch her fate consume her. Instead, she does the unthinkable--she falls in love. Her forbidden romance becomes enmeshed with an explosive plot that threatens the very foundation of Ikhara, and Lei, still the wide-eyed country girl at heart, must decide just how far she's willing to go for justice and revenge. I have such a thing for pretty covers. I think everyone does, but they distract me like shiny objects. The idea behind this story is extremely intriguing. I am super excited to get my hands on this one when it is out!